With good weather now upon us, motorcyclists and the motoring public are being reminded to work together to keep motorcycling safe. Contrary to popular belief most motorcycle accidents are not caused by wet roads, reckless decisions and young drivers. Rather, most often, they are caused by inattentive vehicle drivers or inexperienced motorcycle operators between the ages of 45 and 64. Over 90% of all motorcycle accidents in Ontario occur during clear weather and dry road conditions. This is the cause of most motorcycle accidents in Ontario. The driver of car fails to see or misjudges the speed of the motorcyclist incorrectly before making a left hand turn at an intersection. Automobile drivers often report not seeing the motorcycle prior to making the turn. Drivers looking for cars often fail to spot motorcycles prior to changing lanes. This is usually because motorcycles fit into blind spots more easily. Many drivers also forget to use their directional signal which can pose a surprise when a car suddenly swings into your lane. Motorcyclists often ride in the incorrect lane or lane position making it difficult for motorists to seem them. Riding in the wrong lane or “tire track” removes the “blocking position” which discourages other drivers from trying to squeeze past you in the same lane. Motorcyclists sometimes forget to slow down prior to entering a corner. This can cause a crash when the rider is either forced to veer outside the lane into the opposing lane, loses traction when learning too hard to remain in the lane, or loses control and sends the bike into a wobble. Loose gravel on the road or side of the road can be a motorcyclists worst nightmare, especially when discovered on a turn. Gravel, tree leaves, oil patches, and even animal dung can easily cause the front wheel to slide out from under you. Wet pavement on turns can also send your bike into a skid. Rear-enders have become a common form of motorcycle accident caused primarily by distracted drivers. Other causes of rear end motorcycle collisions involve speeding, tailgating, driving fatigue, aggressive and reckless driving. Inexperienced riders of all ages often lose control of of their bikes causing serious injury and death. This can involve speeding, misjudging corners, going too fast, target fixation, panicking, and ignoring or forgetting motorcycle safety rules. Alcohol is often found to be the cause of motor vehicle accidents resulting in fatality. Alcohol impairs our judgement making it difficult to think clearly and react quickly. Of 175 motorcycle fatalities over a 7 year period, alcohol was a determining factor. The OPP continues to urge all drivers to be aware of their surroundings and always check for motorcycles before changing lanes, turning or entering into intersections. 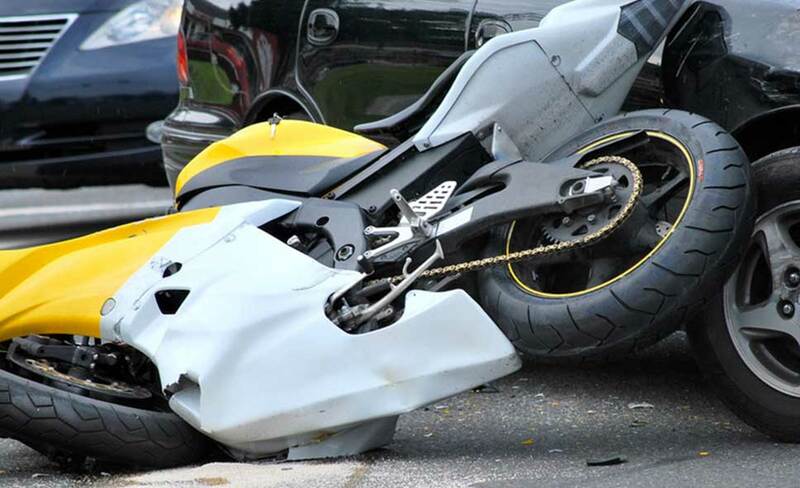 If you have been injured or lost a family member resulting from a motorcycle accident in Ontario, contact the Curran Law Firm. You may be entitled to compensation for lost income, physical suffering, and current/future medical treatment. Our experienced team will investigate your case and pursue a fair settlement or trial verdict.